The Pushkar Camel Fair is an annual livestock trading event held in Pushkar, Rajasthan during Kartik Poornima. While the dates may vary, Kartik Poornima generally falls in the month of November every year. 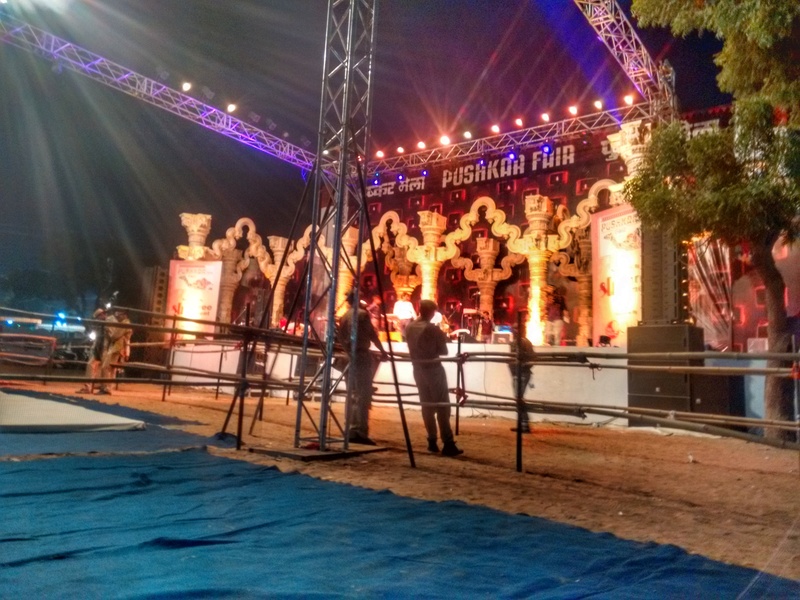 The festivities in Pushkar start 7 days prior to that with the onset of the Pushkar Mela. Poornima is essentially a full moon night. This year Kartik Poornima falls on 23rd November which means that the festivities in Pushkar have already begun. 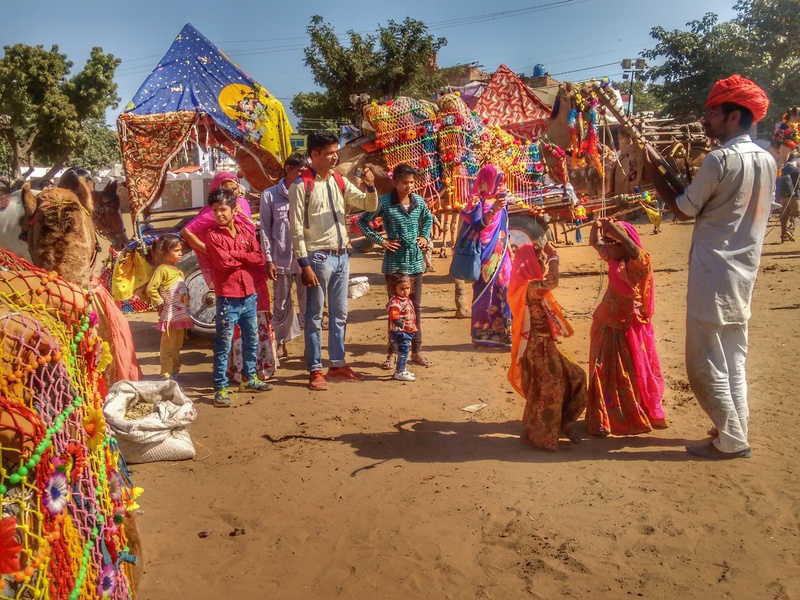 I was privileged to be a part of the Pushkar Camel Fair in the year 2016 after winning a travel contest on Tripoto. 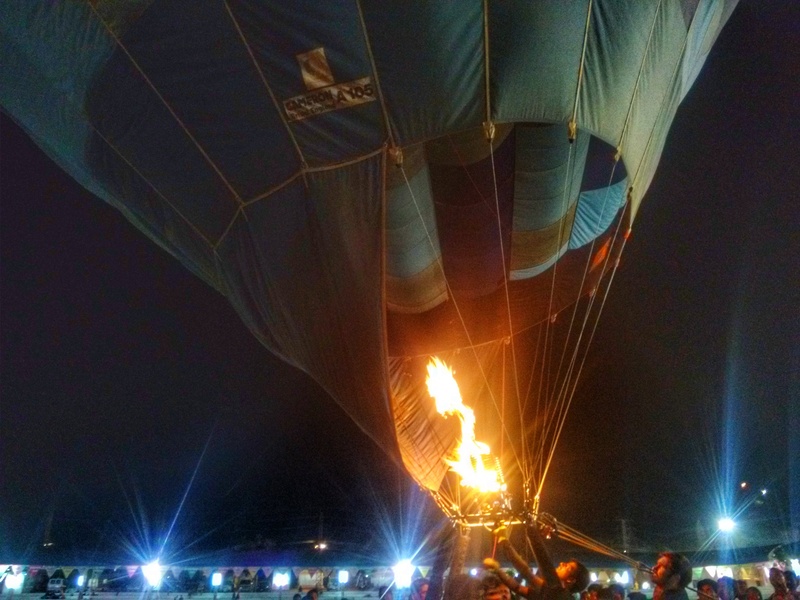 As a winner, I got the chance to stay at a luxurious camp and ride the hot air balloon apart from experiencing the entire fiesta, first hand. 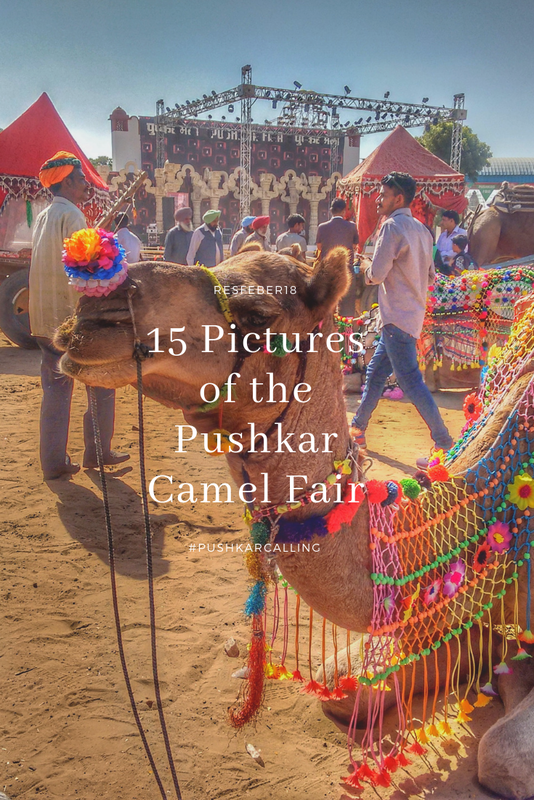 The official dates of the Pushkar Camel Fair this year are from 16th November’18 to 23rd November’18 and I highly recommend that you consider experiencing this larger than life event that combines culture, sports, art, music, and trading of cattle into an unmatchable experience. 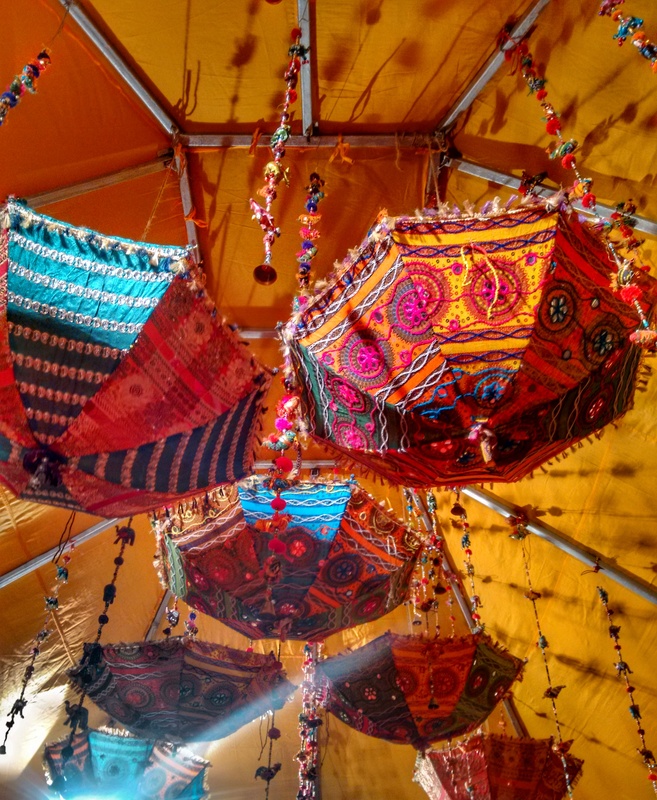 Here are a few pictures from my experience of the Pushkar Camel Fair 2016 that should give you enough reasons to add Pushkar to your bucketlist especially during this time of the year. 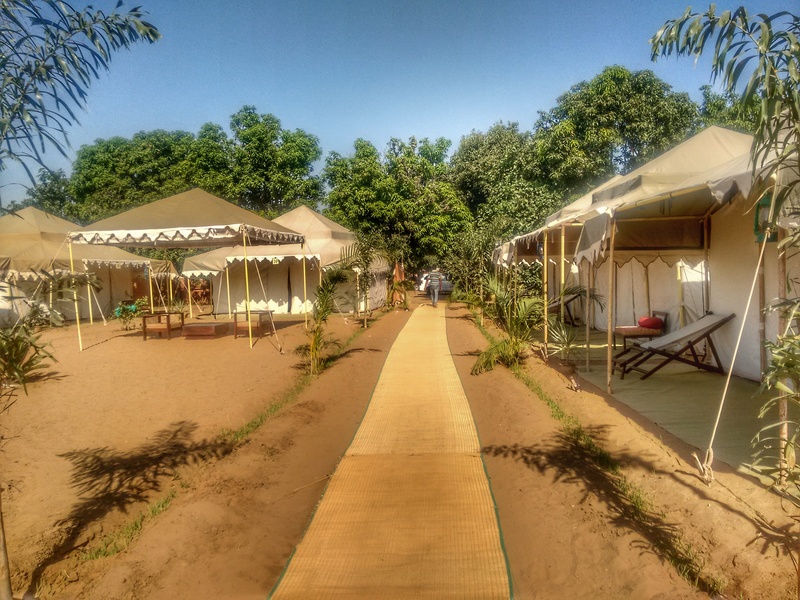 This luxurious form of camping is an ultimate way to experience Pushkar in its rustic beauty. Skywaltz camps were the perfect stay for me in Pushkar. 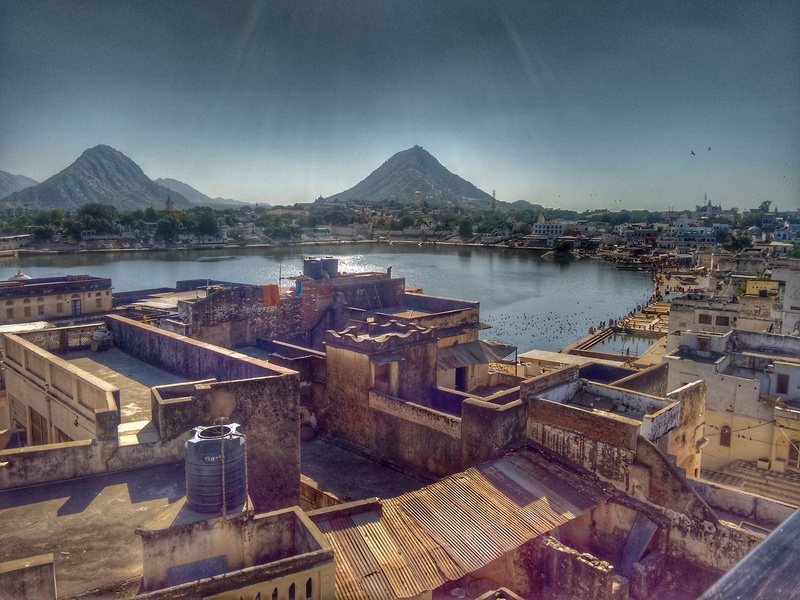 The whole experience of staying in Pushkar was accentuated by the luxury that these camps were. 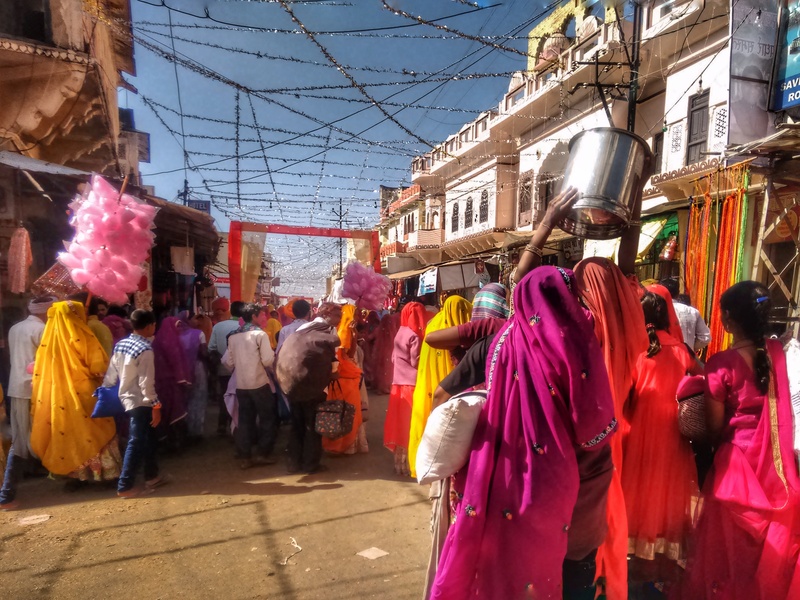 There is an undeniable stench that greets you in Pushkar and all of it is because of the fact that Pushkar is crowded with humans and cattle alike at this time of the year. But disregard the stench and concentrate on the beauties that the camels are. The camels here are not just animals, but a rare specimen of art. No, I didn’t take a camel or a camel pulled cart ride. For the record, I don’t ride any animal, I simply believe that it is cruel. At the Pushkar Camel Fair, you will see many of these camel pulled carts that are so beautifully adorned that they make really great pictures. What say? Simply a camel pulled cart or specimen of art? 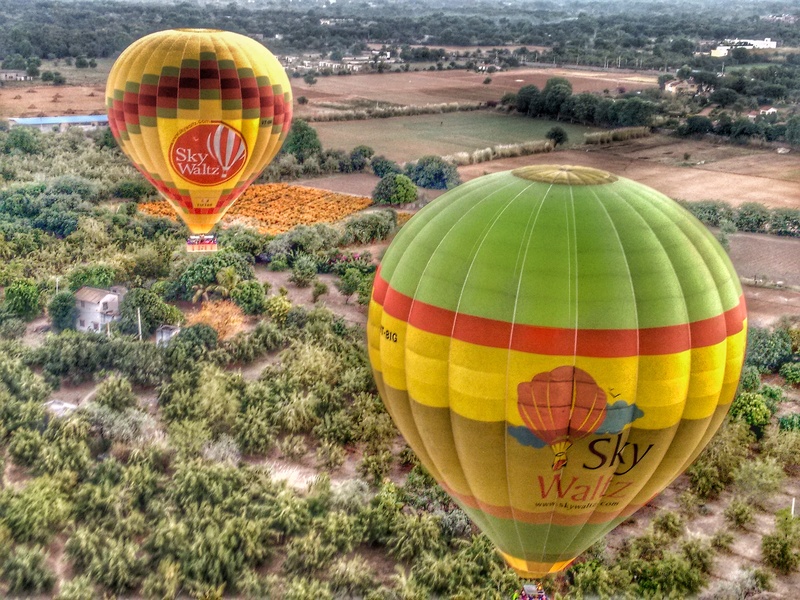 Skywaltz, the first licensed hot air balloon service in India conducts week-long Hot Air Balloon rides, twice a day at the Pushkar Camel Fair. 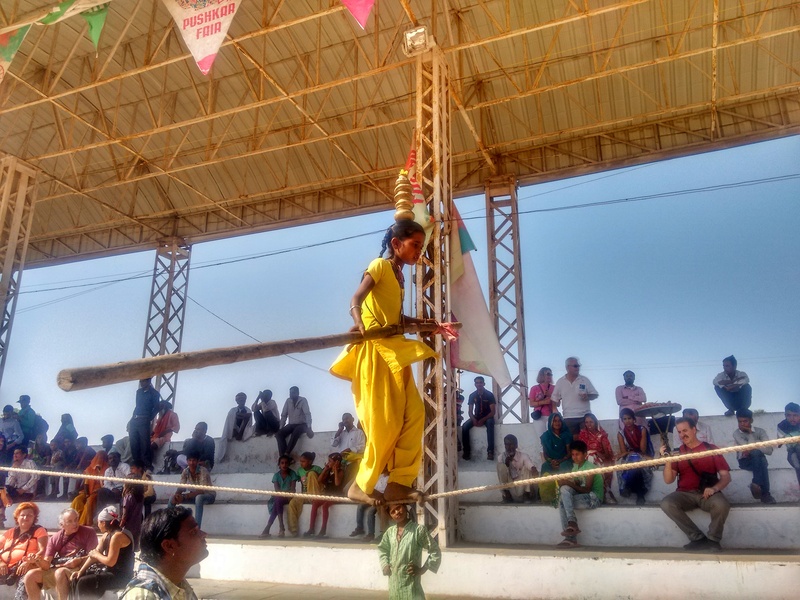 This is an experience that is not to be missed while in Pushkar during the Mela. The sight of the entire city, cattle grazing the grounds, the sea of people down below, the modest houses of the villages, acres of agricultural land and the breathtaking vistas of the Aravalli range are all simply unmissable. I have chased sunrises and sunsets on many of my travels. 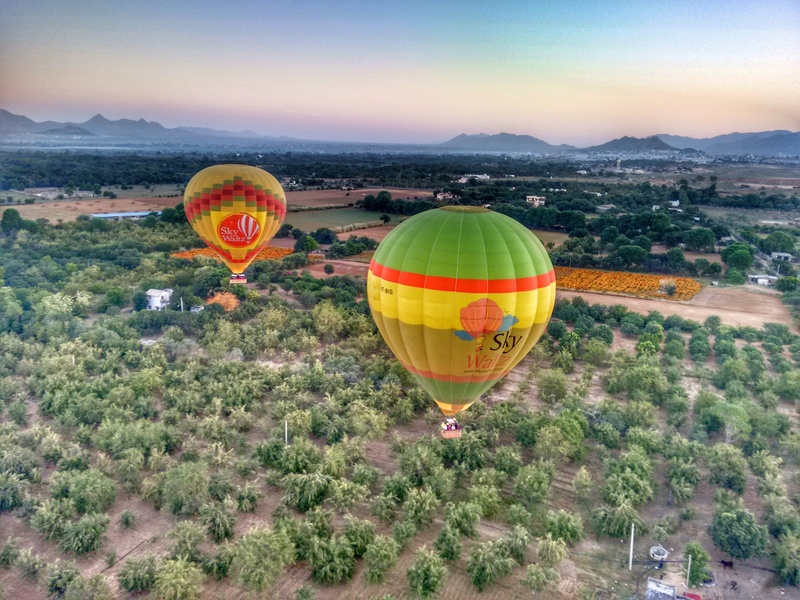 However, this sunrise at Pushkar at the wee hours of a cold November morning against the backdrop of the lush Aravalli range and in a HOT AIR BALLOON will remain one of my bests FOREVERMORE. 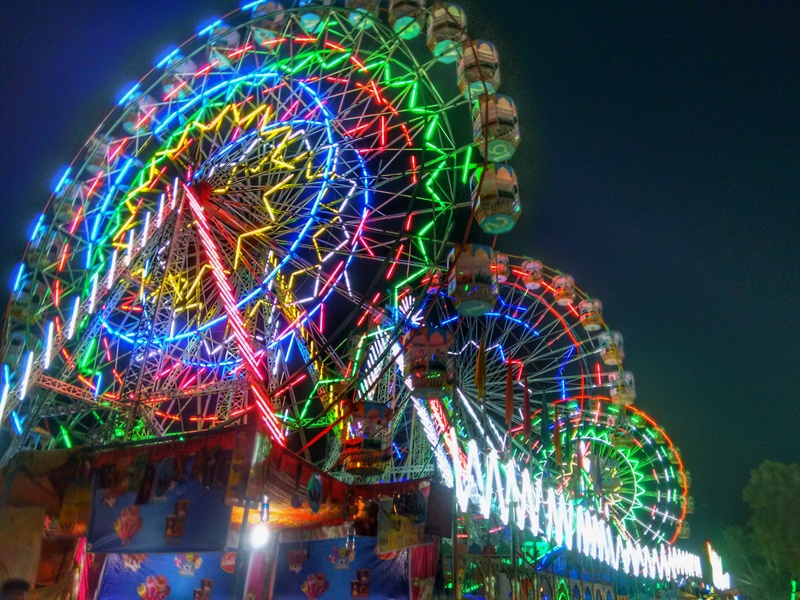 I am a fan of giant wheel rides and what better than the giant wheels at Pushkar to experience the thrill that these rides come with? The giant wheels here are indeed massive. A ‘Fair’ wouldn’t really be fair without giant wheels, would it? Yes, almost! I almost watched an entire concert by Prem Joshua at the Mela Ground under a starlit sky on a cold November night until I got too exhausted to sit for long as I had a really tiring day travelling from Bagdogra in West Bengal to Pushkar in Rajasthan covering the entire width of the country in just a day. The Mela Ground is massive and is like a whole universe in itself where thousand of activities are all taking place simultaneously. It takes a lot of time, energy and a very comfortable pair of shoes to be able to immerse oneself in this Mela Vibe. A crowd of inquisitive onlookers always gather around a hot air balloon everywhere in Pushkar. 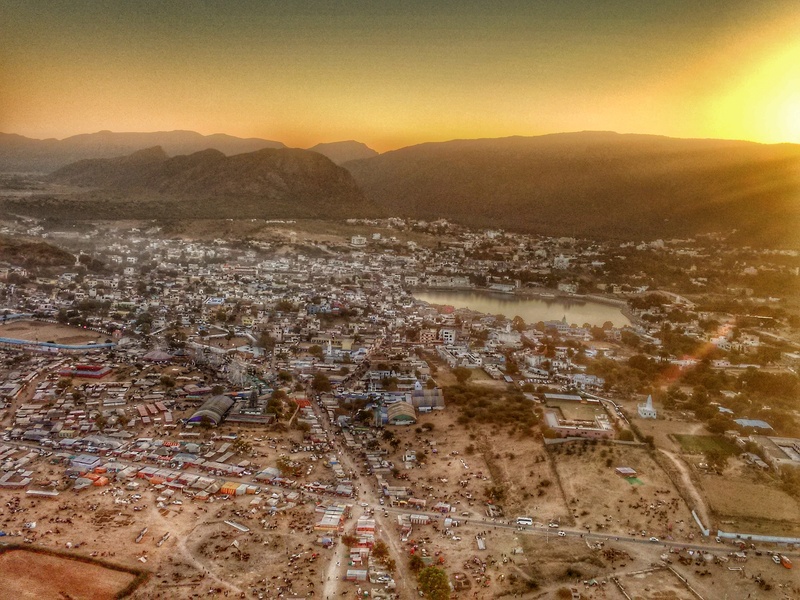 Pushkar’s pandemonium is its beauty during the Camel Fair. 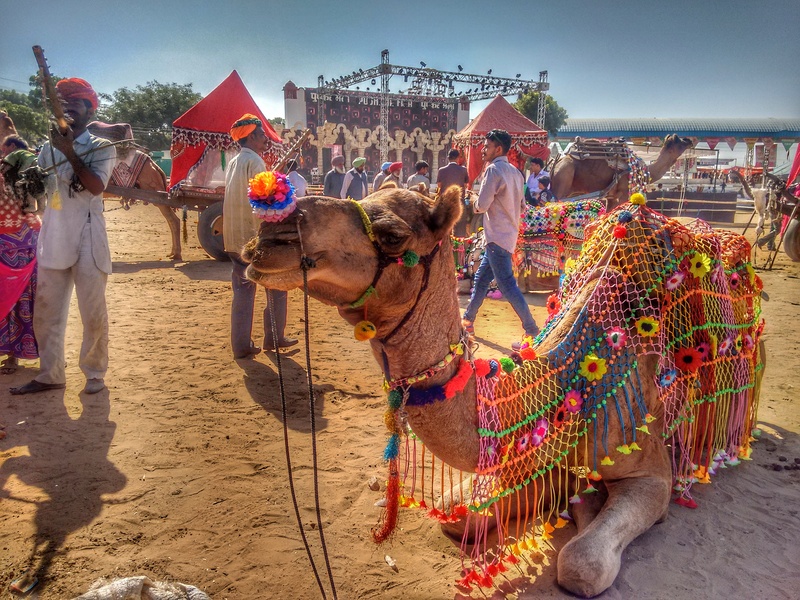 There is no better way to enjoy the very vibe of the Pushkar Camel Fair than to become a part of it. The maddening number of tourists, pilgrims, cattle, livestock traders, photographers, writers and everyone else make it one colossal event to remember. The crowd at Pushkar during the Camel fair is crazy. Walked a tightrope ever? Well, she does it much panache! Pushkar will bring out the shopaholic in you, the glittery stalls at the Mela Ground and the Shilpgram bazaar are amazing places to shop. Just remember you need to bargain a lot or be looted. I landed in Pushkar on the day when Demonetisation went into effect across India. Thanks to the really warm and friendly shopkeepers of Pushkar, my shopping experience was not ruined at the Fair. If given unlimited money, I would shop the entirety of Rajasthan. Once I had done it all, braved the crowds, dismissed the noticeable stench of animal excreta everywhere, haggled to my heart’s desire, succeeded buying some really cool stuff and gotten food poisoned, I decided it was time to take a breather. 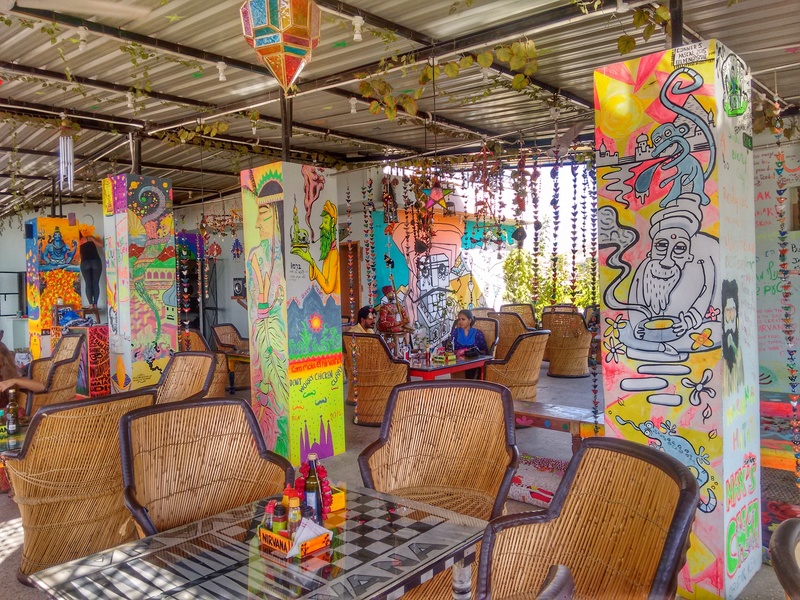 I headed to the Nirvana Cafe and watched the sun go down over the sacred Pushkar Lake while doing nothing. 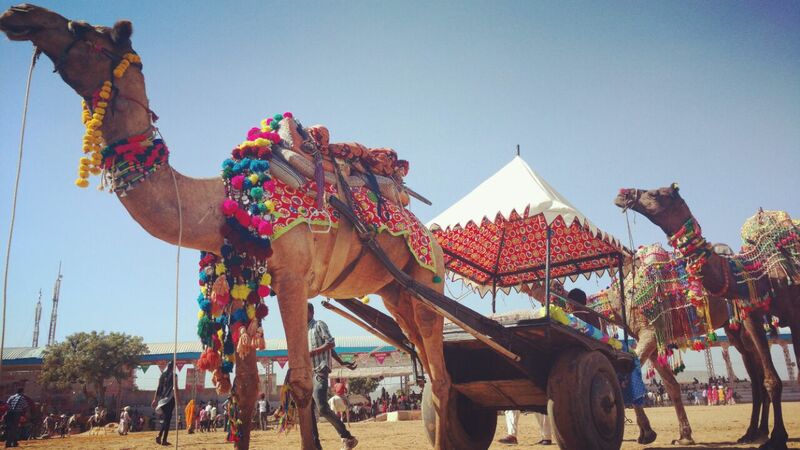 With that, I wrapped up my adventurous sojourn at the Pushkar Camel Fair. Taking back a bag full of memories and misadventures, I was again a bit homesick for this land called Rajasthan which now truly feels like a second home. I so wish to go back to Rajasthan and this time, I hope it happens sooner.